This is an undercover modern home. Why undercover? Well, it’s not a home that likes to show off. 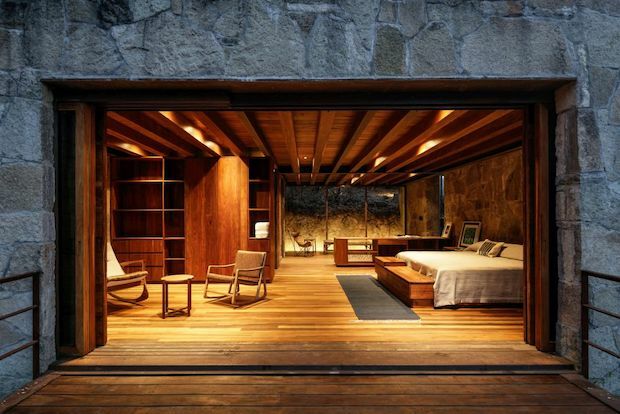 Rather, it’s a home that’s satisfied to be a part of its surroundings. 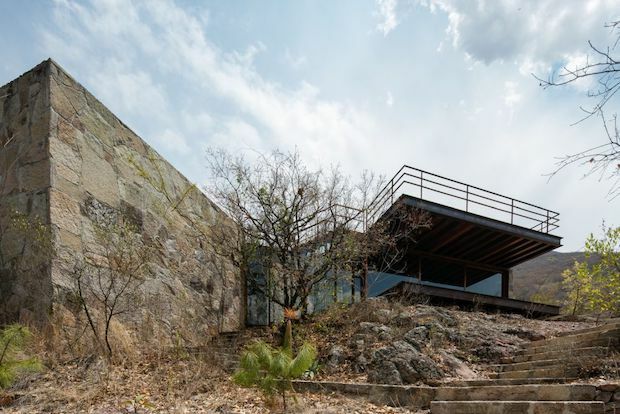 This shows through its design and materials, where the latter consists of local stone and wood. 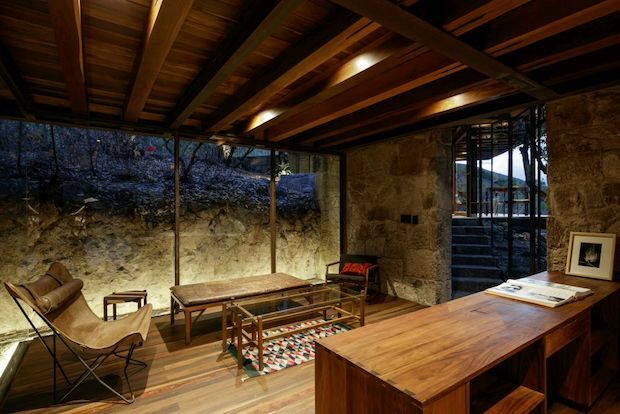 Underneath its rugged exterior is are interiors as warm and welcoming as of any home, with a wood cabin-like feel to give the home a cozy ambiance. 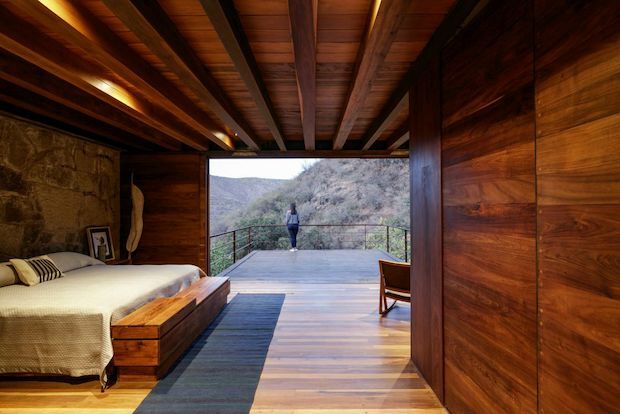 This is a home that wants you to focus on the beauty of nature. 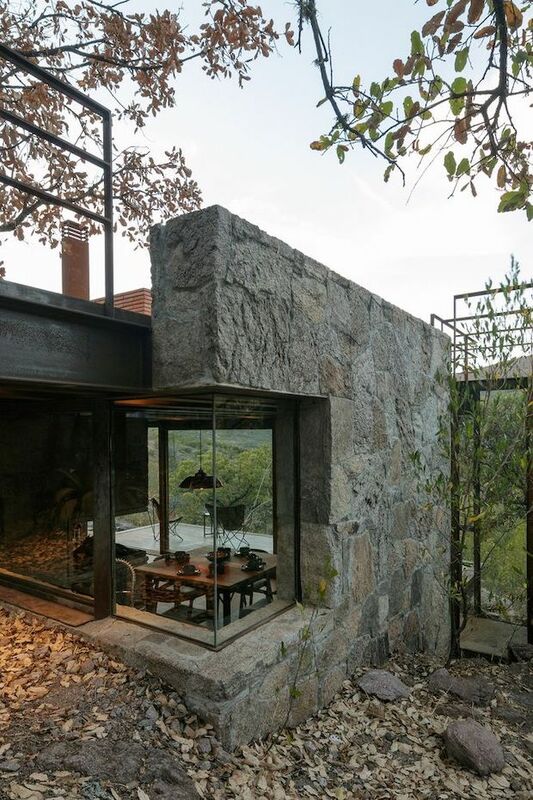 Large floor-to-ceiling glass walls capture the stunning views of the surroundings. 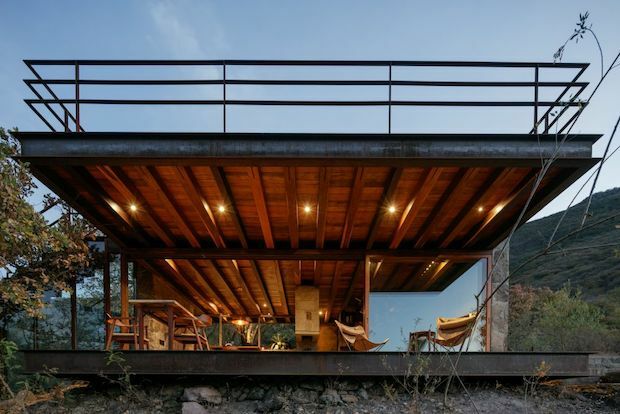 The mountain cabin is designed by LAMZ Arquitectura, and it’s in San Sebastian Teitipac, Mexico. 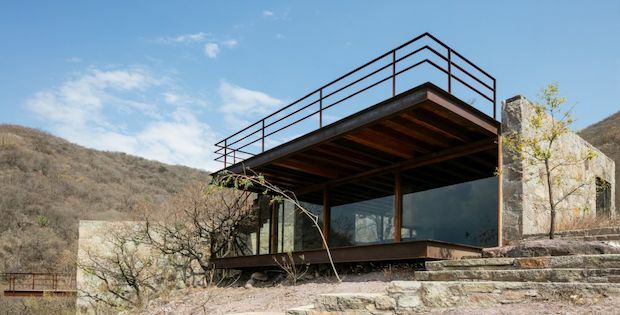 The 1991-square-foot industrial cabin is organized into two volumes connected by a steel and glass hallway. 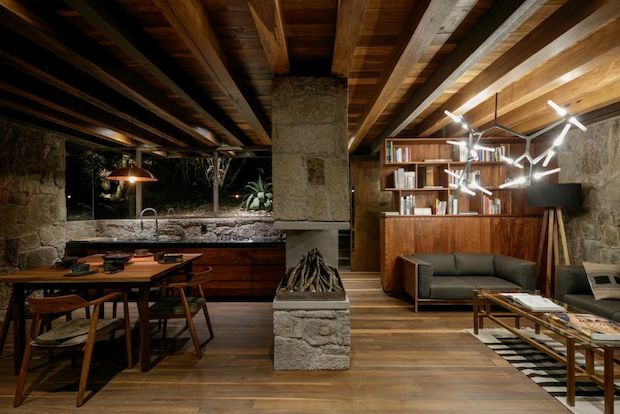 One of the volumes is a public space which houses the living room, kitchen, and dining area while the other is a private space containing the bedrooms.